What’s your personality in English? This is a question we ask professionals. And how you see yourself in English matters because it really impacts your communication with other people in English. We have a student who is a key account manager (sales) and has many 1 to 1 meetings in English with international clients and potential clients. For the student their main challenge in English was not making mistakes in English in 1 to 1 meetings. However by FOCUSING ONLY on not making mistakes in English the student forgot about all the other important parts of communication that really impact how other people see us and communicate with us. Making mistakes in another language is normal, 85-87% of English speakers are non native English speakers so making mistakes is normal, the key is to reduce big mistakes so that it doesn’t impact communication. 3) Practice these three in English for a month and regularly ask team mates for feedback on these three. 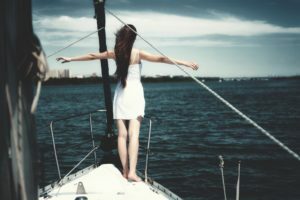 The student started to immediate concentrate on communicating in English and not worry about making (minor) mistakes in English. They noted improvements in their fluency and confidence in English. They realised that showing their personality in English while communicating in English was important to connect to the other person. The student has received good feedback from team mates in terms of their confidence, clarity of their ideas and how they structure their ideas to make it easy to follow. 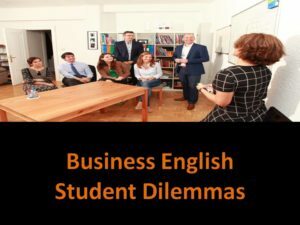 Do you have a similar Business English dilemma you’d like us to help you with? Get in contact with us (chris@englishtco.com or info@englishtco.com or our web’s contact form). The English Training Company – helping companies and professionals to become Advanced Business English Speakers.